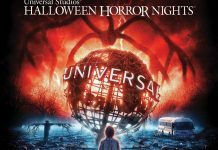 Universal Studios Hollywood has announced a new pre-sale offer for Halloween Horror Nights tickets; offering $30 off regular admission the first 2 weekends, along with a choice of 1 bonus gift. Guests have the option to choose one of the following offers as their bonus gift: Early Entry at 4pm, free parking, souvenir cup with free first fill, a Terror Tram front of the line pass, or a limited edition poster. The offer expires July 31st. To purchase a ticket, and to find out more information and restrictions, please visit the ticket offer page here. 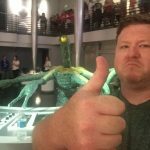 More information on ticket options, including standard offers and multi-day passes, are expected to be released in August. Halloween Horror Nights at Universal Studios Hollywood starts Sept 15.